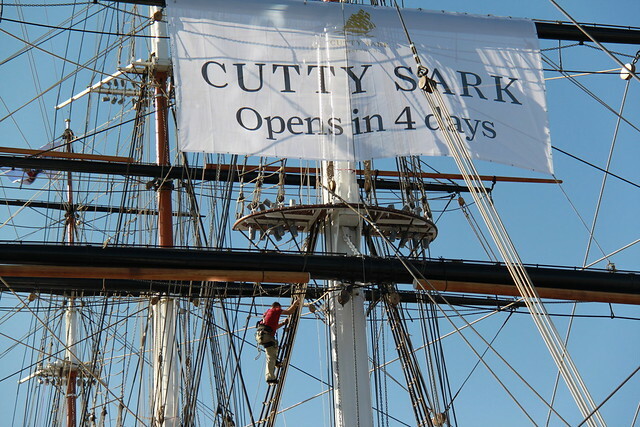 For day four of the Greenwich.co.uk advent calendar, we look back at the re-opening of the Cutty Sark earlier this year with some photographs of the famous tea clipper. 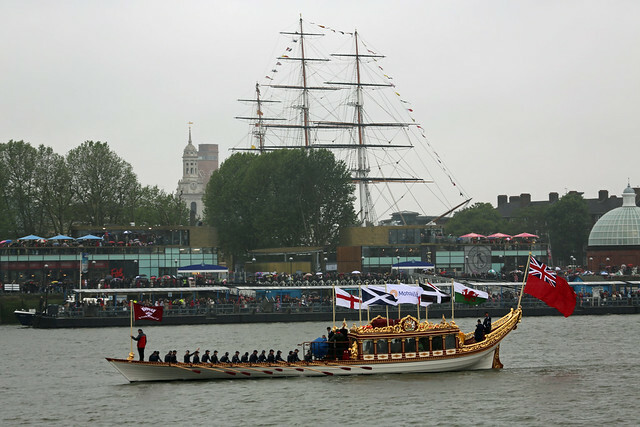 A photo of the Royal row barge Gloriana passing the Cutty Sark that I didn't post up on the website earlier in the year. 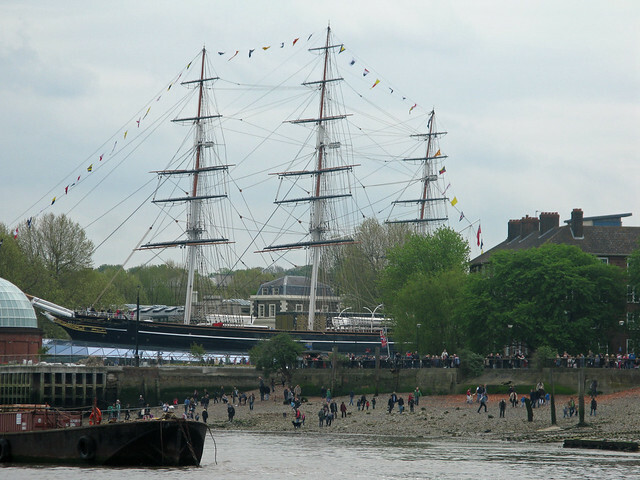 Photo of the Cutty Sark and a busy foreshore on Bank Holiday Monday. 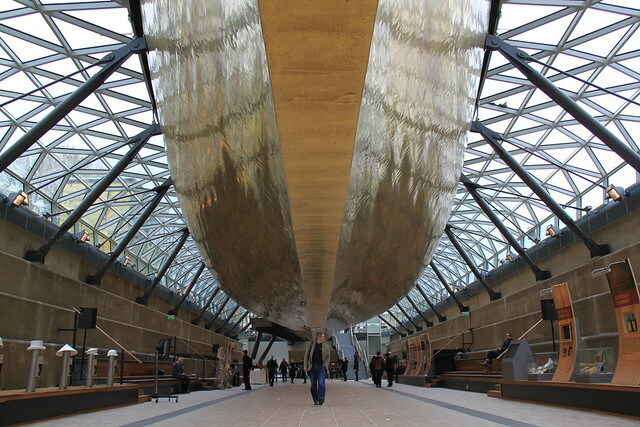 I am writing these words while sitting directly underneath the Cutty Sark. That’s a sentence I never imagined writing. 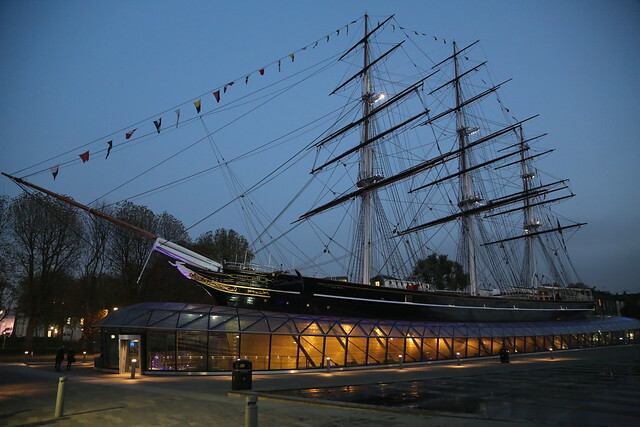 I am enjoying a coffee and vanilla shortbread courtesy of the Cutty Sark café, which is also directly below the Cutty Sark. 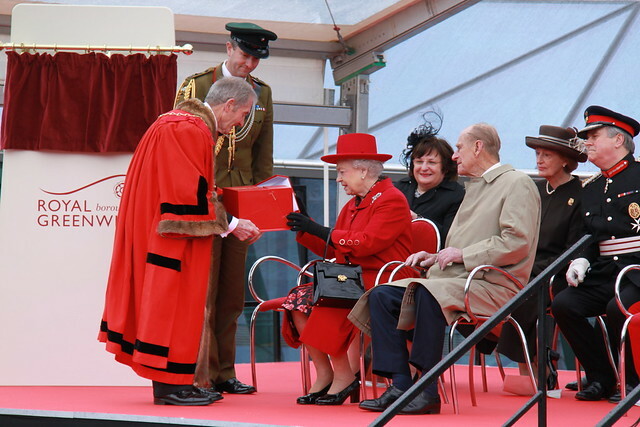 It’s finally here, being opened tomorrow by the Queen, and to the public thereafter. And what’s it like? My first thoughts are that sitting here feels a little like sitting in the British Museum – it’s the glass and steel roof above you. The second is that Harry Potter has a lot to answer for. Having just taken a self-guided tour of the ship I can tell you that it is full of ‘interactivity’. 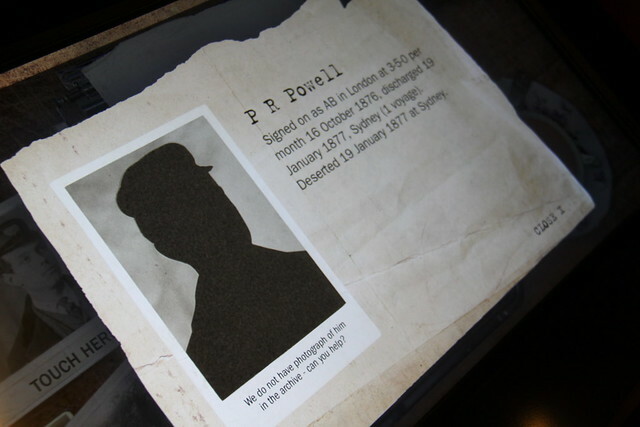 ‘Ghosts’ of long dead seamen pull faces at you from mirrors in the cabins; photographs rotate in digital displays of old newspapers; a Scottish voice lulls you with history in the new mini theatre. 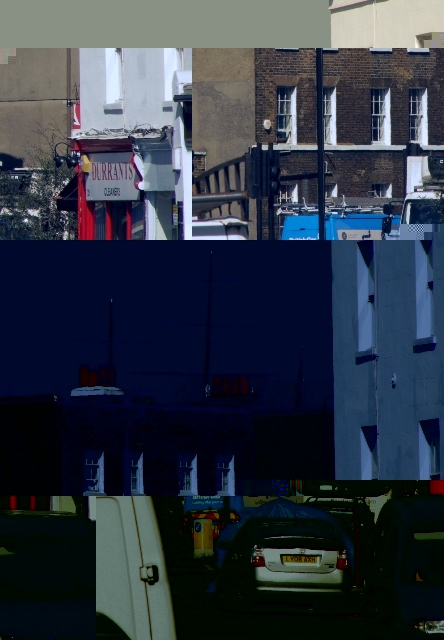 Elsewhere, less digital artefacts catch the eye. A ship in a bottle made by someone onboard, elegant reconstructions of the tea chests, line-drawn plans of the ship that show how sleek she really is. 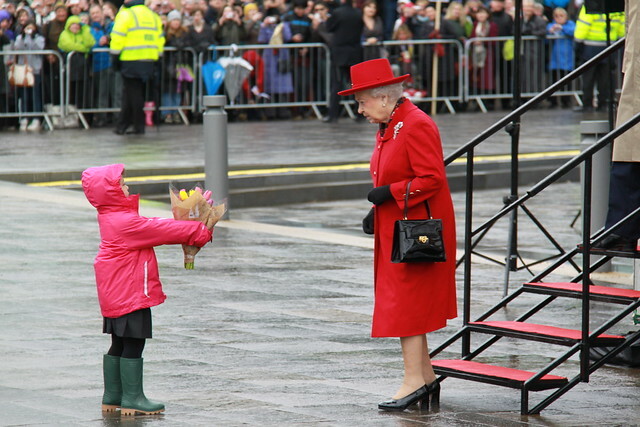 On deck it’s all go to get ready for the Queen. Painters are still painting, and TV crews step gingerly past anything white in case they come off worse. 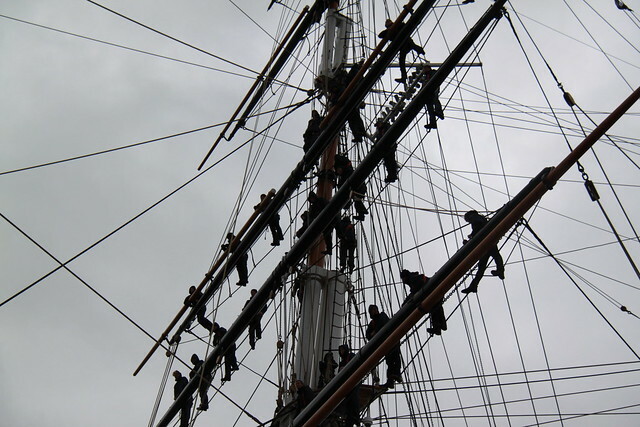 A gang of riggers walk along the top of the glass roof sweeping, wiping and polishing. Richard Doughty, the driving force of this whole £50m project, beats circuits of the ship with journalist after journalist, explaining the facts and the “journey”. 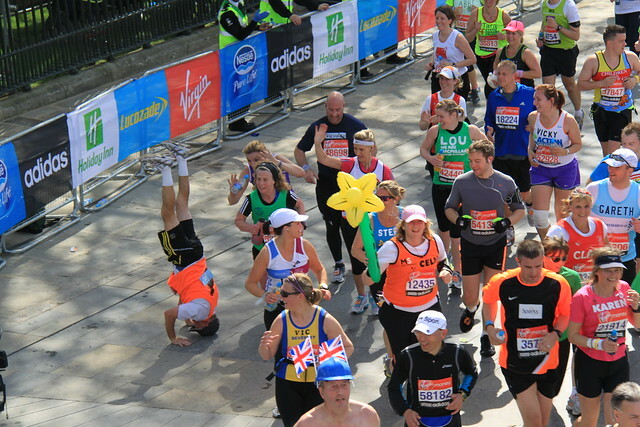 I ask one of the riggers where he’s from. 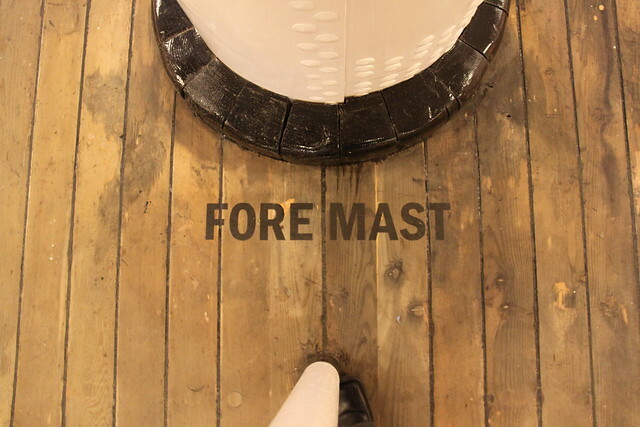 Essex, he says, one of many interested sailors and modern day merchant seamen drawn from across the UK who have got involved in a “once in a lifetime” project to help restore the ship. He’s been working on it since January, when they put the masts up, and he’s now slicing the ends off ropes, making sure there are no loose ends. 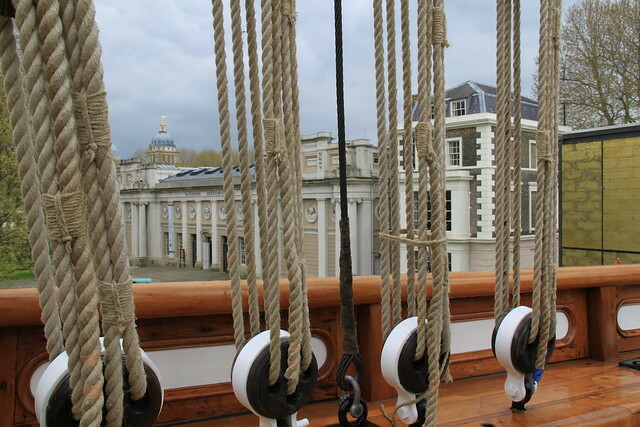 It’s up on deck that the Cutty Sark feels like a ship. Down below, beneath the ship, or walking between decks on one of the very ordinary, functional staircases, it feels like an exhibit. It always was of course, but somehow it feels more permanent now, more museum-like. A little of the romance has gone, evaporated as she has been encased in glass, a giant ship in a bottle. 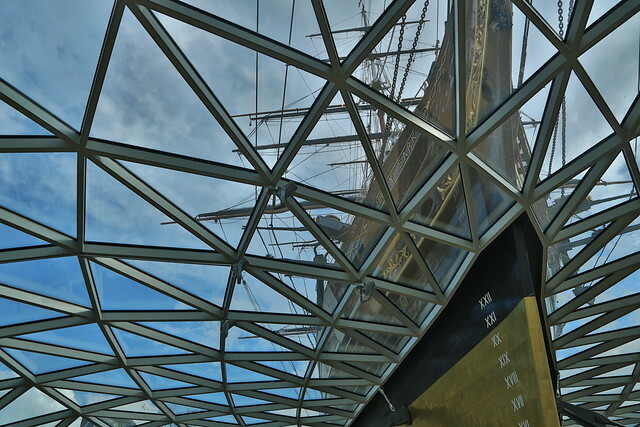 But she is still here, the Cutty Sark, she has not been completely swamped beneath glass and steel and push-button ‘story telling’. The ribs of her are still there, the rust that only a few years ago threatened to destroy her has now been stopped in its tracks and painted thickly white, the masts and rigging rise up proudly, their newness smelling of creosote and hemp. 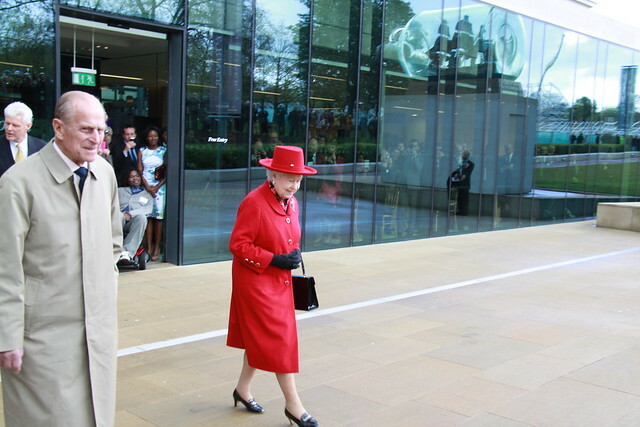 The Queen will be here tomorrow. Next to me someone says, “This is nice,” and relaxes over her coffee. We will have acres of coverage of it over the next couple of days, and a good thing too. 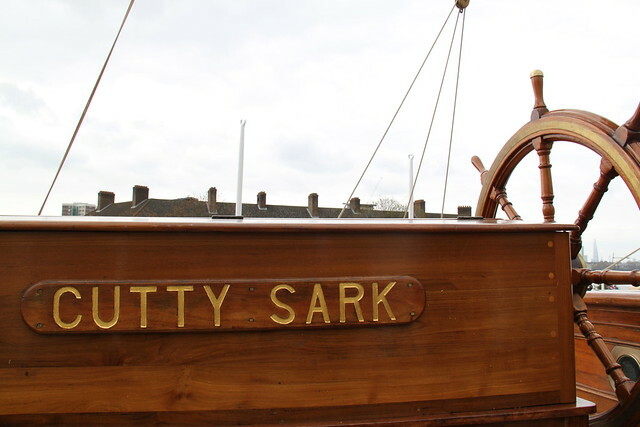 When the Cutty Sark project began it was not certain that it would succeed; when the ship burned it was a genuine setback. 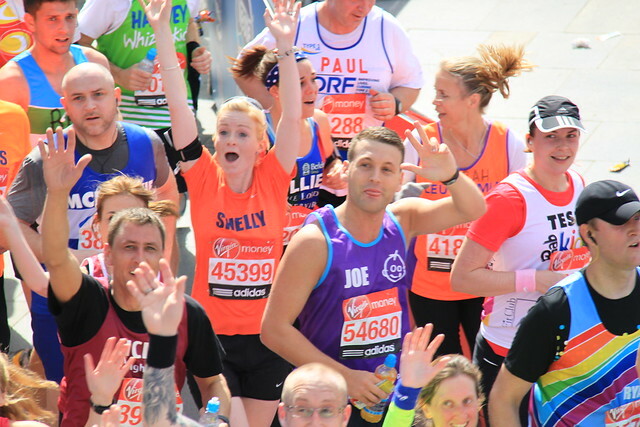 She will no doubt be a success. The space beneath the ship feels like it has ‘corporate event’ stamped through its new, 2012, DNA. 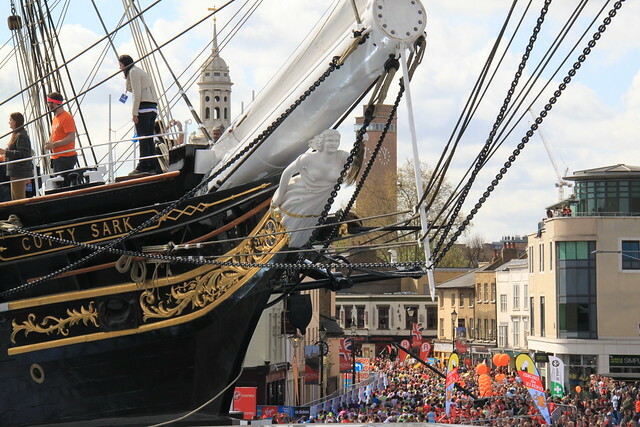 She’s not the same as she was, and you can’t imagine a drunken artist climbing the rigging to the very top on New Year’s Day, as rumours from the old days have it. She’s not as rustic, or as basic. 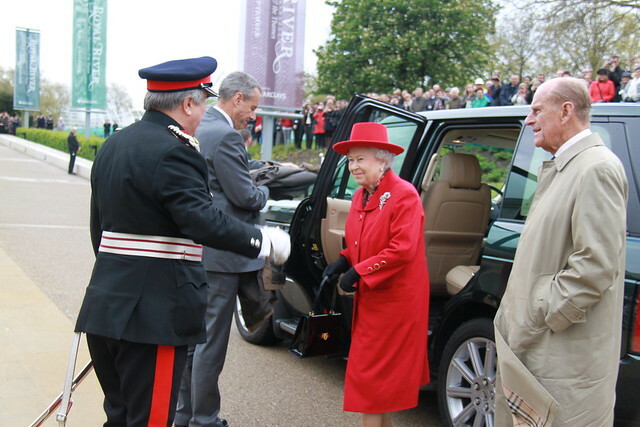 But then she’s not rusting away in a heap either. And that’s got to be a good thing. She’s survived, and from the look of this, will go on surviving for a long time to come. 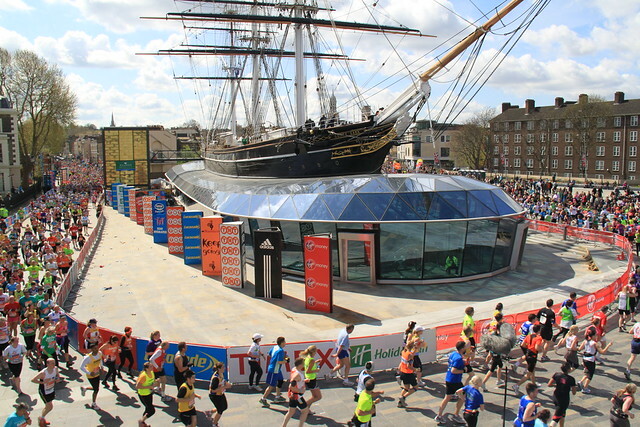 THE CUTTY SARK yesterday opened its doors to the paying public. 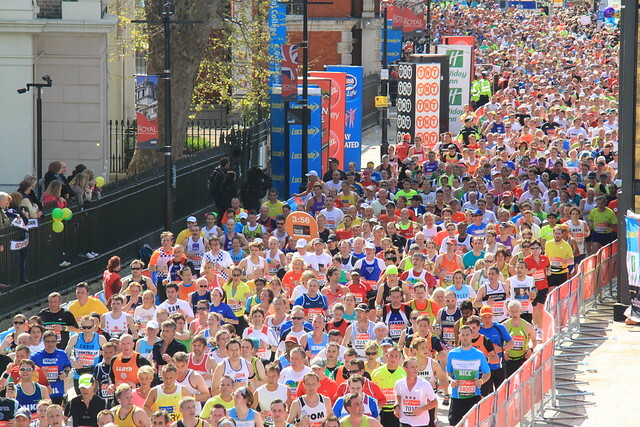 After the residents' day, a starring role in the London Marathon and an opening ceremony attended by the Queen, it was finally a chance for the general public to see the transformation that has taken place. 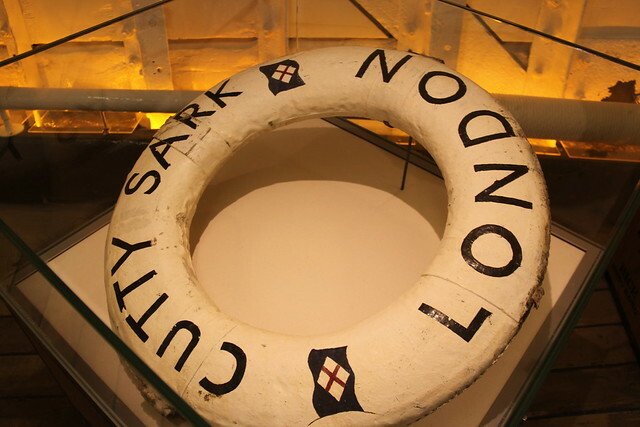 On board, visitors can learn about Cutty Sark's role in the tea trade, look up crew members from the archives, try to navigate from Australia to England and enjoy great views across London as well as look up to see eleven miles of rigging. 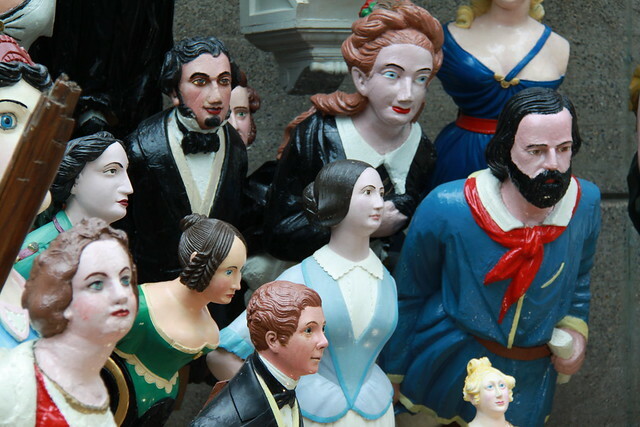 The iconic tea clipper, as has been well noted before, has now been raised by three metres, to create a new space below, called the Sammy Ofer Gallery, where there is the world's largest collection of merchant navy figureheads and a new cafe. 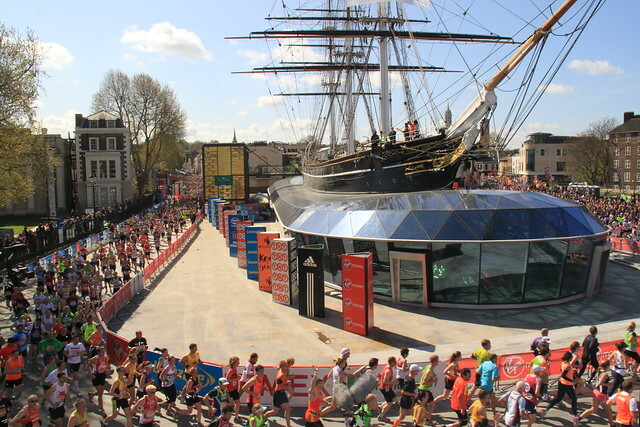 THOUSANDS of London Marathon runners passed the restored Cutty Sark today, and two prominent banners on board made sure that television viewers didn't miss the fact that she opens in just four days.